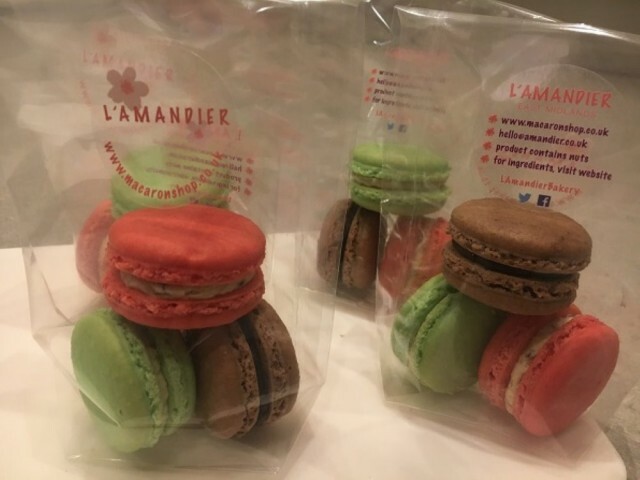 Based in the East Midlands, L’Amandier Macarons can be delivered or collected locally in Nottingham, order Macarons online and they can be sent by special next day delivery nationwide within the UK. Enhance your Dessert or Afternoon Tea table this Christmas with these wonderfully chic treats, made famous in the patisseries and salons de thés of France and now gaining popularity in the UK. With their dainty and colourful appearance and exciting range of fillings and colours, they make an attractive addition to any table, arranged beautifully on china plates or cake stands, as artistic centrepieces or served simply with a cup of tea or coffee. 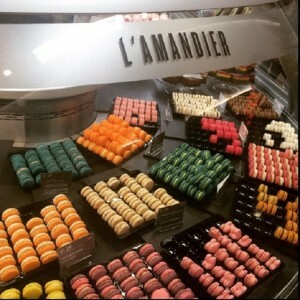 Each one of our macarons is individually hand-piped – both the shells and the fillings. The shells are characterised by a slightly crisp exterior, little bubbles or “feet” at the base and a chewy, melt-in-the-mouth centre, moistened further by the addition of either a ganache or buttercream filling and sandwiched together. 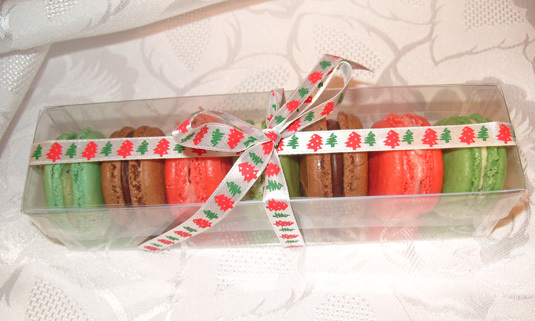 In addition to our Christmas range we offer a wide variety of colours and flavours, and we also provide for most other occasions – weddings, colour-coordinated to match a theme as macaron tier centrepieces, on cakestands or as wedding favours, baby showers, birthday parties and celebrations of every kind. 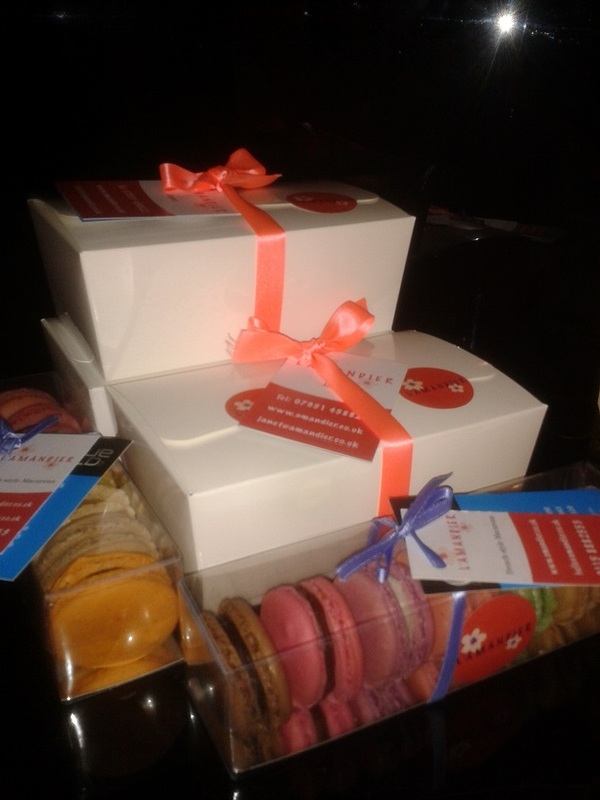 We also supply for corporate gift orders : display our macarons at fayres and conferences in your logo colours – they are hard to resist as people approach your stand! Contact us to receive your macarons in time for Christmas!